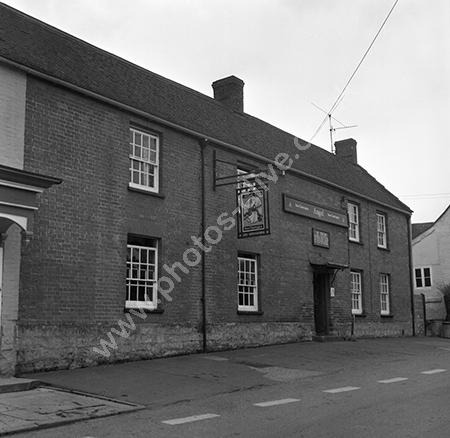 The Angel Inn, North Curry, Somerset in around 1973-74. The licensee board states H. Trim to be the landlord and a delve into the 1939 licensee register for Somerset reveals Harry Trim to hold the licence. (Same man or father and son?) For commercial use of this photo, including use on another website, please visit Alamy.com and search for M5JJCO. For a one-off print please see below.